If you missed the memo on Sparkle, my new obsession, let me fill you in. It’s a sparkling liqueur that captures the bright color and delicious taste of original Hpnotiq infused with Champagne-like bubbles. It’s pretty much everything I’ve ever wanted in a drink. And now, I have even more sparkly news! As if Khloe Kardashian’s big reveal wasn’t exciting enough, there is even more in store from my friends at Hpnotiq. Hpnotiq Sparkle recently kicked off a sweepstakes where you can enter for your chance to win $5,000 to help you sparkle all year long! Head on over to www.ineedsparkle.com to enter and for more details. Our girl Khloe knows how to do it right. Channel your inner Kardashian with some glitter eyeliner. Or opt for a full out glitter explosion with loose glitter worn on your eyelids. Check out my first Sparkle post for a list of my favorite sparkly makeup recommendations! For fun occasions like these, I love to hit up Rent the Runway and snag a designer dress for less. RTR features a killer assortment of glittery gowns you can rent. I suggest browsing the Badgley Mischka collection of sequined party dresses! I’m obsessed with the Manhattan Socialite Dress. It’s perfect for your next Sparkle party! If you don’t want to deal with trips to the craft store and loose glitter infiltrating your house, you could wrap some twinkling Christmas lights around your party room. Same effect with less mess! Also, Urban Outfitters is currently featuring an “All That Glitters” section on their site featuring glittery decor for your home. You’re welcome. Edible glitter anyone? Even if you don’t have time to bake your treats from scratch, you can buy up a batch of cute cupcakes and take them to the next level with glitter dust like Cake Sparkles from Wilton. It’s affordable, edible, and super fun! Can’t go wrong. 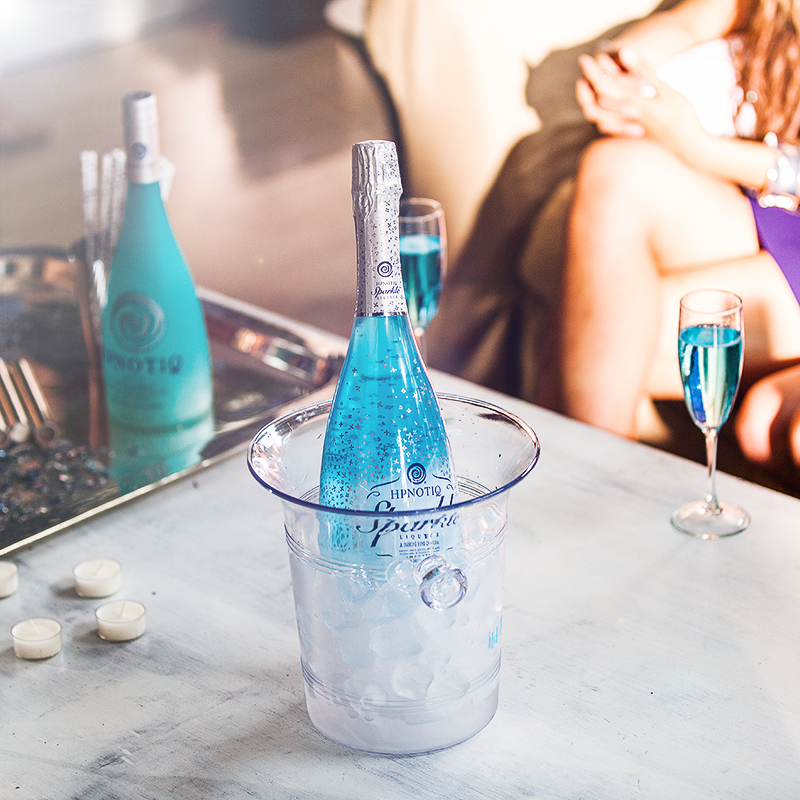 The most important ingredient (aside from your besties, that is) – Hpnotiq Sparkle! Remember, you don’t want to wait too long to get your hands on some Sparkle. This special cocktail is only available for a limited time from October to December… but never fear! 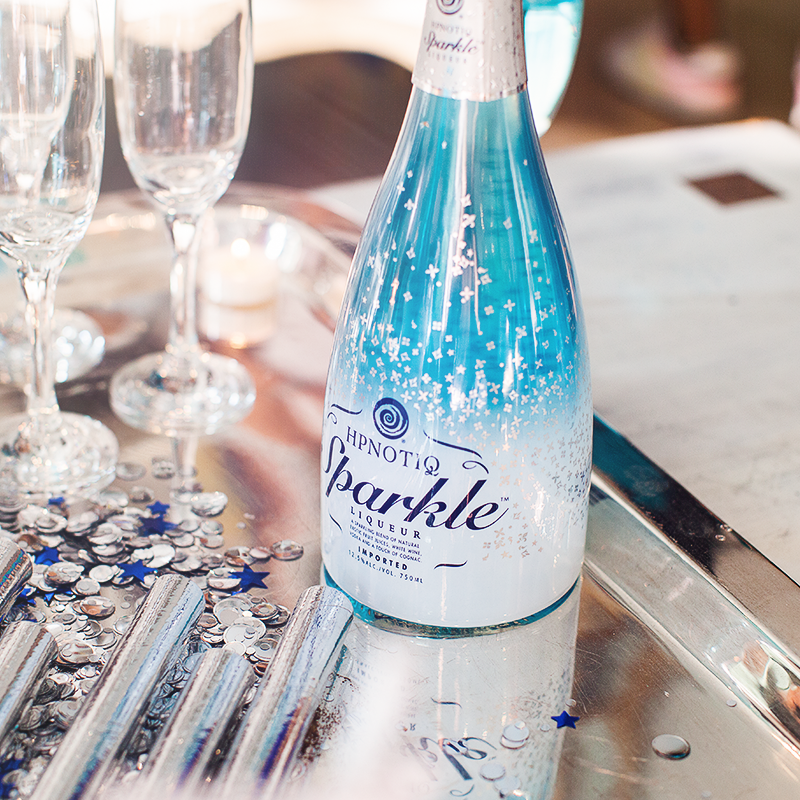 If you miss out on the limited supply of sparkle, mix equal parts Hpnotiq with Champagne to concoct your own celebratory cocktail. Done and done.